The interest rate that you will qualify for, when taking out a mortgage loan, has a large impact on how much money you will be spending on your mortgage over the life of the loan. Interest rates used to be at near record lows until not long ago, but it looks like those times are over. The economy is recovering and, with it, so are the interest rates. Mortgage rates have been steadily increasing lately, causing more people to apply for mortgages. Getting a mortgage loan while the interest rates are still relatively low has determined many people who were considering the purchase of a home act now, before rates climb to an even higher level (Read: 4 Things Home Buyers Should Look Out for With Mortgage Rates On the Rise). The difference between all-time low interest rates and current interest rates may not seem like much. One or two percent sound like a very small difference, but if you consider the fact that it is one or two percent of several hundreds of thousands of dollars yearly, you might not think one or two percent is negligible anymore. That small difference can mean tens or even hundreds of thousands of dollars over time. Unfortunately, the increase in interest rates has also resulted in an increase in the number of people whose applications were rejected. You can learn more about this if you click here. Because people were applying for a mortgage on a short notice, in order to still take advantage of the low interest rates, many didn’t have time to make sure that they can actually qualify for the mortgage. One of the most important requirements when applying for a mortgage loan is that you have a good credit score. Buying a home with a low credit score will attract a higher down payment requirement, a higher interest rate, and, many times, rejection. The good news is that your credit score is one aspect of your financial life that you can improve by just making a few changes and taking a few precautions. Having a good credit score will not only allow you to qualify much easier and quicker for a mortgage loan, but also qualify you for lower interest rates, meaning that you will be paying much less on your mortgage each month (Read: Boost Your Credit Quickly With These Simple Tips). A good credit score is something that you can be proud of, because it means that you are a responsible person that knows how to manage his or her finances. Unfortunately, life doesn’t always go as planned and certain events, over which you have little power, can quickly ruin your credit score, making the purchase of a home very difficult or even impossible. Avoiding putting yourself in a situation where your credit score could be damaged is ideal and should be a top priority, but sometimes things that are out of your control happen, and the only way in which you can recover is by rebuilding your credit score. Here are 8 ways in which you can make sure your credit is up to par when applying for a mortgage loan. Get a copy of your credit report. You have the right to a free copy of your credit report per year. Knowing what your credit report contains is very important when trying to make sure that you can qualify for a mortgage loan. By looking over your credit report you can get a clear understanding of what your credit score is, what problems you have, and how you can start improving (Read: The Top 10 Components for Maintaining a Good Credit Score). Find errors on your credit report and dispute them. Errors on a credit report are not very common, but they do happen. The best way to find them is to carefully read your credit report and look for any inaccuracies or misinformation. These errors could have a large impact on your credit score, so finding them and disputing them as soon as possible is very important (Read: How Your Credit Score is Calculated). Pay your bills on time. The easiest way in which you can make sure your credit score is in a good range, and actually improving over time, is to not miss any payments and pay your bills on time each month. Being late for even a month can have a large negative impact on your credit score, and jeopardize your chance of getting approved for a mortgage loan. Avoid having too much debt. Especially before buying a home, having too much debt can seriously lower your chances of being approved for a mortgage loan. Large debt will also lower your credit score, making it even harder to qualify for a mortgage. Waiting until after you have bought a home to make any other large purchases using credit is recommended. Don’t take out too many credit cards. Credit card applications will appear on your credit report, and will affect your credit score. Lenders will also see you as someone who takes out too much credit, and will be reticent when deciding if they should approve your mortgage application or not. Keep using your current credit cards. Just having a credit card is not enough to keep your credit score in a good range. Using your cards, even for small purchases will be reported and actually increase your credit score by establishing credit history. Simply closing credit card accounts that you are not using will decrease your credit score. Click here to read more. Pay off some of your debt. Paying off debt will increase your credit score quicker than anything else. Your debt-to-income ratio will also improve, increasing your chances of receiving a mortgage loan without much difficulty. Having an unfavorable debt-to-income ratio will usually result in a mortgage loan application rejection. Extend your credit limit. Extending your credit limit will decrease the percentage of credit that you are using compared to how much credit you can use. Lenders will be more likely to extend the credit limit for a good customer, so choose a credit card with which you have had a long and clean history. Unfortunately, the credit limit extension means a new credit report check, so your credit score may decrease a little, but should recover quickly. Making sure your credit is up to par when applying for a mortgage loan is one of the best ways of increasing your chances of approval. Interest rates are increasing, so you might think that this is your last chance of getting a fairly good rate. The truth is that it is a good idea to get a mortgage before rates climb even higher, but applying for a mortgage with a sub-par credit score will only result in a waste of time and money (Read: What Credit Score Do I Need to Qualify for a Mortgage?). A mortgage loan is a very important product because it gives the majority of Americans access to home ownership. It would be quite difficult for most people to purchase a home without the help of a mortgage loan. Mortgages come in various shapes and sizes and are designed to accommodate the needs of most people, whether they are first time home buyers or real estate investors. Mortgages have several characteristics that differ based on the borrower’s needs and qualifications (Read: Are You Applying for a Mortgage? These Things Might Ruin Your Chances of Approval!) . One of these characteristics is the size of the mortgage loan. Regular mortgage loans usually require a 10 to 20 percent down payment, certain debt-to-income ratios, and a good credit score. Depending on these factors, your interest rate might be higher or lower, and you may be able to borrow more or less. In some areas you won’t be able to buy a home valued at over $400,000 with a regular mortgage, while in others you can buy homes that cost over $700,000 by using a regular mortgage. That amount is more than enough for most people and families, but not enough for others. If you have the means to keep a large mortgage, you may want to borrow more than the maximum limit of regular mortgage. In that case, you should take a look at jumbo mortgages. A jumbo mortgage loan is nothing more than a regular mortgage loan that exceeds the conforming loan limits set by Fannie Mae and Freddie Mac. The limit varies from one area to another, so you can expect to have to take out a jumbo loan for a home that is worth a lot less than other homes in better areas. Generally, the maximum limit is significantly higher in more expensive housing markets. Lenders take a larger risk when giving out jumbo loans, so they will be more careful when giving out this type of mortgage loan. A default on a jumbo loan would hurt the lender financially much harder than a regular loan. Jumbo loans typically require a 20 percent down payment, which means that the borrowers have a larger investment in their homes, making them less of a default risk. Lenders require a very high credit score, which means that the borrower has a good history of repaying his or her debt, giving the lender more peace of mind (Read: How to Get a Great First Mortgage). Just One Loan. By taking out a jumbo loan you won’t have to take out two or more different loans. Jumbo loans provide the money that you need to make a home purchase, and allow you to avoid having to take out multiple loans, which can be pretty complicated (Read: Taking Out a Third Mortgage – Is That Possible?). Low Rates. Interest rates on jumbo loans are low. Interest rates on jumbo loans have started to decrease in 2009 when the federal stimulus package was introduced. Big Savings. Refinancing a jumbo loan can bring large savings. Refinancing any mortgage loan will usually bring savings, so refinancing a loan that is larger than usual can bring even greater savings. Higher Rates in Comparison. The larger the risk the lender is taking, the larger the interest rate will be. While interest rates on jumbo loans are lower than ever, they are still high when compared to interest rates on conventional loans (Read: Jumbo Loan Rates vs. Conventional Home Loan Interest Rates). Less Approval. Qualifying for a jumbo mortgage loan is more difficult. You must have a great credit score and a large income to qualify for a jumbo mortgage loan. While you can get away with having a less than perfect credit score when applying for a regular mortgage loan, jumbo loans require a prefect or near perfect credit score (Read: Boost Your Credit Quickly With These Simple Tips). Jumbo mortgage loans, like any other loan, are designed for borrowers with certain needs, and will not be a great choice for everyone. Knowing what type of mortgage you need is very helpful when buying a home. It can make the difference between a great purchase and one that will give you nothing but trouble along the way. How Do Changes in Interest Rates Affect the Housing Market? Most people have to take out a mortgage loan in order to become home owners. 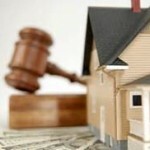 Whether the mortgage loan has a fixed or adjustable rate, a long or short term, you will have to pay interest. How much interest you will be paying on your mortgage loan depends on many factors, such as the loan type, the repayment duration, or how big your down payment is. 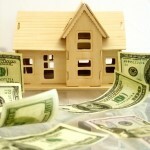 These are the factors that will influence the interest rate that is advertised by the lender. Interest rates are also affected by factors which can’t be controlled by the borrower or the lender, such as the actions of the Federal Reserve or the state of the economy. Because most people and families buy homes through a mortgage loan, the housing market is deeply affected by changes in current interest rates. An interest rate is the rate at which someone can borrow money from a lender for a predetermined period of time. The interest rate will normally be a percent of the total amount borrowed, and will be paid each month, depending on the type of loan. For example, some loans require a larger payment towards the interest in the beginning, while the payment towards the principal is very low. 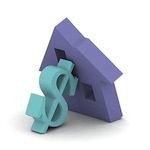 Interest rates on a mortgage loan can be of two kinds: fixed and adjustable. After being determined before the closing of the loan, fixed interest rates remain the same for the duration of the repayment period. Adjustable interest rates are normally fixed for a short period of time, after which they can increase or decrease, depending on many factors, such as the health of the economy. Normally, low mortgage interest rates attract more home buyers. Paying less interest means that the overall mortgage loan value will be lower, so people will be saving money. When rates are low, home sales rise because more people can afford to take out low-cost loans. Home owners can refinance their mortgage, and try to take out a lower interest rate mortgage to pay for their home. Low interest rates result in a large demand for homes, so the home construction industry is also stimulated. When interest rates are high, the demand for homes decreases because mortgage loans become more expensive, and most people can’t afford them anymore, don’t qualify, or simply choose to rent until interest rates go down again. High interest rates also affect home builders, as the demand for new homes also decreases. Interest rates have fluctuated significantly throughout history, influenced by changes in local and global economy, wars, recessions and many other factors. The housing market will always have to gain or suffer from these fluctuations. Also, understanding how these fluctuations in interest rate affect the housing market can help investors make better decisions. Choosing between a fixed-rate or an adjustable-rate mortgage, and knowing when to refinance can make a huge difference in how much it will cost you to become a home owner, or how much profit you will make if you invest in real estate. 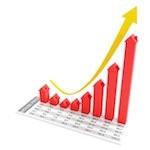 Mortgage Rates in 2013: Will They Go Up, Down, or Hold Steady? The home-buying season has arrived and the 2013 real estate market seems to be moving a little faster, while mortgage rates are still lower than ever. You might be wondering if mortgage rates are going to hold steady, increase, or decrease, considering the fact that they have gone up since the historic lows recorded last year. While the economic growth seemed to slow down considerably at the end of 2012, it looks like it came back on the right track at the beginning of this year. In an economy that is fueled by consumer spending, people keeping their job is of the utmost importance, so the recent layoffs decrease has helped significantly as well. 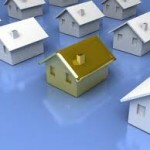 The real estate market has contributed to the economic recovery also. Existing home sales have gone up as well as new home construction, but the inventories are fairly low because the construction industry is also in recovery. Back in November of 2012, mortgage rates were 3.31% for a 30-year fixed-rate mortgage and have increased to 3.51% by February 2013. Even with the slight increase, mortgage rates are still close to record lows, and actually lower than they were at this time last year. One of the main factors that influence mortgage rates is the housing market recovery, which has suffered significantly due to the economic crisis of 2008. Home sales are rising, but the inventories are getting lower, which will drive home prices up. Builders are also slowly recovering, so more and more new homes will become available. All of these contribute to the appreciation of the housing market. 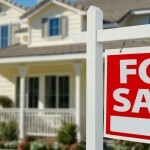 The United States economy, which is seeing slow recovery, has the most influence on the housing market. After the recent recession, economists expected a 3 to 5 percent growth in Gross Domestic Product (GDP), but the United States is only experiencing a 2 percent growth. The recovery is slow but steady and will lead to a stronger housing market. 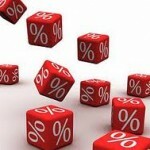 Will Mortgage Rates Go Up or Down in 2013? 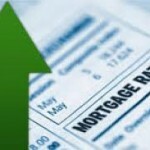 Excluding another major crisis, a new war, or the further deterioration of the European economy, it is safe to say that the mortgage rates will slowly rise in 2013. The economic increase will lead to an increase in corporate profits, which will positively influence confidence among consumers and potential home buyers. As a result, the demand for stocks will increase, the demand for bonds will decrease, and mortgage rates will go up. 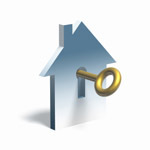 The mortgage rates will most likely remain under 4 percent for 2013, but gain up to 0.5 percent by the end of the year. If the economy continues to grow, you should expect higher mortgage rates in the future, but if there is a new financial or political crisis, the rates will go down to what they were in 2012, and possibly even lower.